Like a number of Trek fans, I watch and enjoy the Midnight’s Edge video podcast. The production values are high, and the updates are interesting and informative. But they’re also full of rumor, conjecture, and innuendo. I sometimes feel as though I’m listening to fan “wish-fulfillment” and conspiracy theories, and I occasionally find myself wondering what is true and what is simply something that the creator(s) of Midnight’s Edge WANT to be true. Three days later, however, TrekMovie.com reported that McFarlane Toys was displaying a brand new Star Trek: Discovery phaser at ToyFair. So perhaps sourcing a single tweet from a roving, non-reporter VFX artist might not be the most reliable way to confirm one’s facts. Sounds all juicy and dramatic, don’t it? Of course, notice the words “rumored” and “allegedly” included in there. Some fans, dissatisfied and angry about the new series not hewing more closely to TOS and established Star Trek designs, would love to think that there are huge regrets at CBS about the way Discovery was rolled out and handled…and that the higher-ups are putting pressure on the producers to fix this and that. It’s certainly a compelling narrative if you’re an angry and resentful Trek fan. 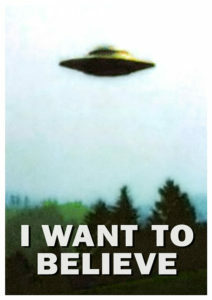 It’s kind of like Special Agent Fox Mulder on The X-Files wanting to believe in the most far out conspiracy theories. And who knows? Maybe they’re right. But I seriously doubt it. 1) CBS is “VERY satisfied” with STAR TREK: DISCOVERY. This was hardly surprising to hear coming directly from a CBS employee, but he was speaking quite frankly. The higher ups are indeed, VERY satisfied with the show and how it’s turned out (he emphasized the word “very” so strongly that I felt I should put it in bold, italics, and ALL CAPS). 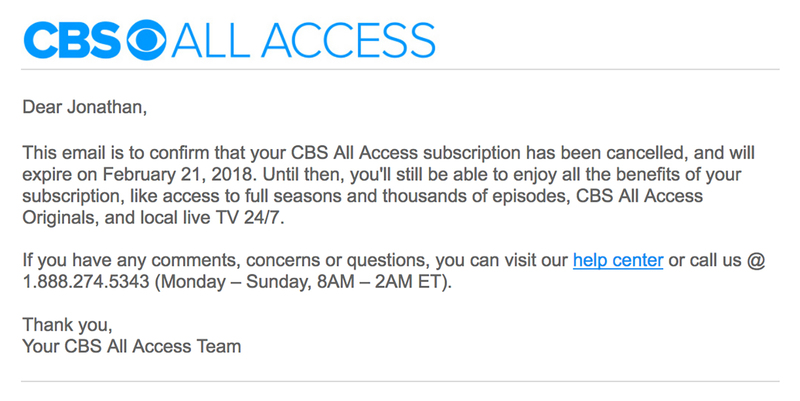 2) Yes, CBS All Access subscribers currently number around 2 to 2.5 million…up from the 1.5 million a year ago (as reported in Variety and elsewhere) and possibly as many as 2 million when Discovery debuted). These numbers were essentially confirmed a couple of weeks later when CBS announced to shareholders that All Access and Showtime subscriptions combined have reached 5 million, and CBS CEO Les Moonves confirmed that the split was essentially an even 50/50 between the two services. Unfortunately, the fellow from CBS wouldn’t share what I most wanted to know: how many of those subscribers later cancelled the service…although, to be fair, the conversation took place weeks before the Discovery finale. I have since canceled my own subscription, as have a number of other Trek fans who have posted on Facebook that they’ve done likewise. But CBS is keeping mum about how many of those 2.5 million subscribers are still subscribed. 3) Only a “relatively small amount” of the All Access subscribers were watching Star Trek: Discovery. Most subscribers were watching—wait for it—NFL Football! Blows your Trekker mind, don’t it? It blew mine, lemme tellya! Personally, I love football, but even I wasn’t bothering to watch the NFL on All Access. So it was initially hard for me to believe that Star Trek: Discovery (the “crown jewel” as Les Moonves once called it) was getting only a small amount of viewers in comparison to the football viewers! Indeed, I wondered—if this were truly the case—why would CBS actually renew Discovery for a second season at all? But then I thought about it more, and everything suddenly made sense to me. I simply had to take off my Trek fan hat and put on a CBS executive hat, and it turns out that this all makes a lot of sense in the bigger picture. And by “bigger,” I mean GIANT! IS STAR TREK A GIANT? 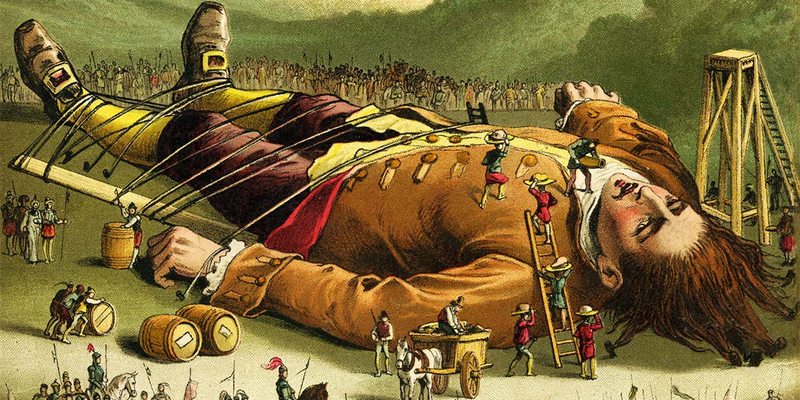 Did you ever read Gulliver’s Travels by Jonathan Swift? 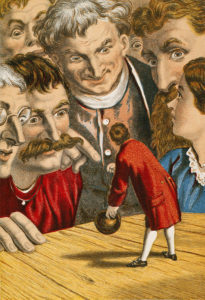 When most people think of that story, they picture a shipwrecked English sailor from the early 18th century, marooned on the island of Lilliput and surrounded by a society of 6-inch tall people. Gulliver is a giant in comparison. Most Star Trek fans probably see our favorite franchise as Gulliver, a giant among a plethora of smaller, less significant sci-fi franchises (excluding Star Wars, of course). But compared to Battlestar Galactica, Stargate, Farscape, Babylon 5, Firefly, The Expanse, and many others, yeah, Star Trek is a giant. 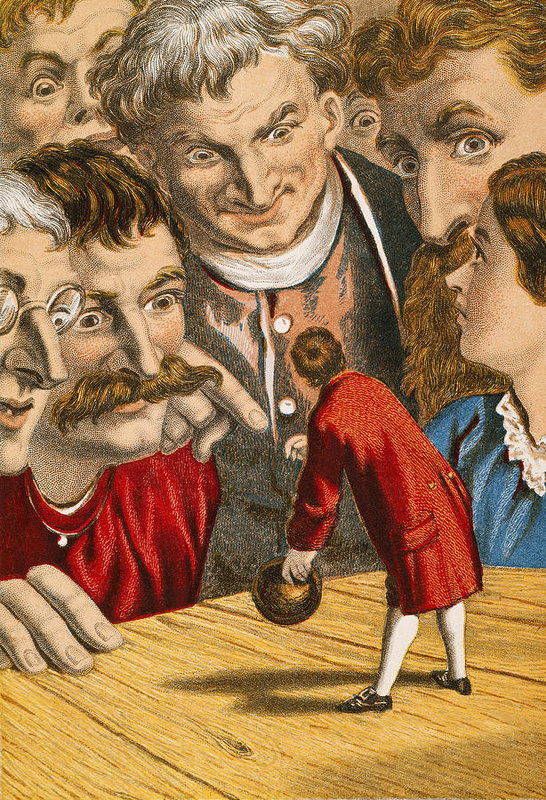 But Gulliver’s Travels actually had FOUR parts, and the second place Gulliver is marooned is called Brobdingnag, where the the inhabitants are 72 feet tall and Gulliver is tiny in comparison. Here, it is THEY who are the giants and Gulliver who is insignificant in comparison. 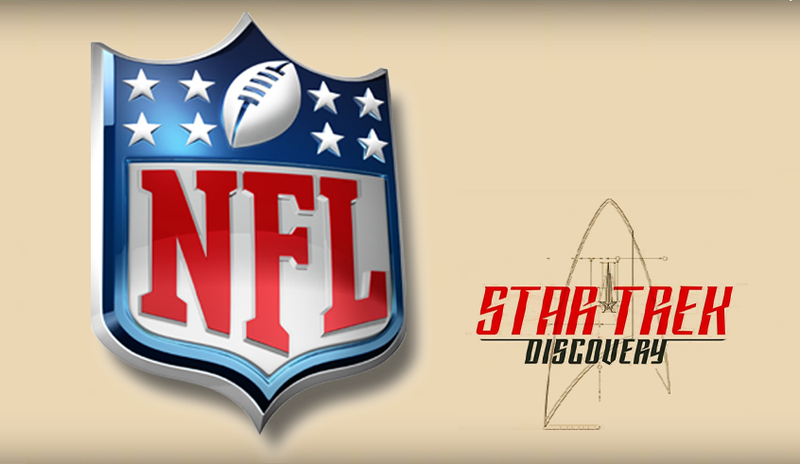 And here’s where we Trek fans need to, like Gulliver, adjust our perspective a bit and realize that, as big as Star Trek is, there are other things in this world that are bigger…and the NFL is one of them. That’s why CBS also announced to shareholders that it is planing to launch a new Sports Service that will be ready in time for College Basketball’s “March Madness” championships. CBS will also be expanding into a new 24-hour CBS News livestream. And why is CBS doing all of this—All Access, Showtime streaming, Sports, and 24-hour News? Because the world of television broadcasting is changing at warp speed, and CBS doesn’t want to be caught flat-footed or left behind the way the music industry was when downloadable mp3s became the norm and music CDs and record stores began to go the way of the dinosaur. Like most of the broadcast networks, CBS is terrified of the “cord cutters” who no longer subscribe to cable or satellite television packages and instead access their media entertainment through services like Netflix and Hulu, downloading only their favorite shows and avoiding service packages with 40 or 50 channels they never watch. In fact, by the end of 2017, it was estimated that more than 22 million people had canceled their satellite or cable TV service completely. This trend will, of course, decrease advertising revenue…and that’s where CBS, NBC, ABC, FOX, and the rest make their money. The old ways of watching TV are disappearing…disturbingly fast! 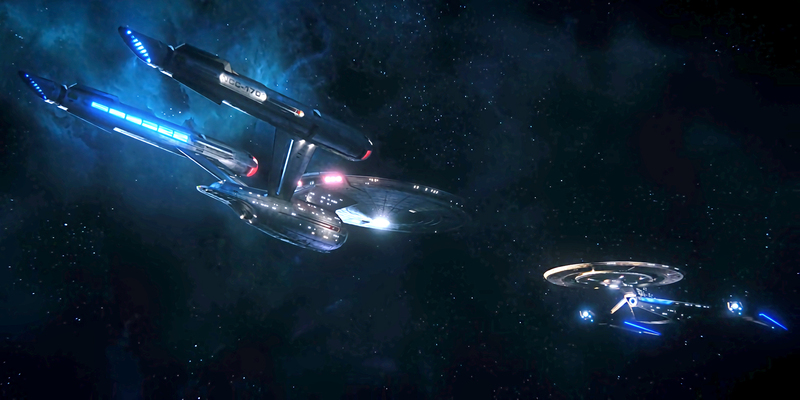 Many Trek fans didn’t like being forced to PAY to see the new Star Trek television series on a subscription-based streaming service, but CBS didn’t really care. They created All Access back in 2014 and needed to grow the selection of programming it was offering. And this is where indignant fans who believe that Star Trek is a “giant” need to take a step back and look at the real giants in the playground. The first giant is, of course, the NFL. As I said earlier, that one property (which CBS licenses) brings in the lion’s share of the revenue for All Access. Star Trek: Discovery is barely a blip in comparison (well, maybe a little more than a blip, but it’s still a much smaller piece of the All Access revenue pie than professional football). To illustrate this, let’s look at how much CBS paid to produce season one of Star Trek: Discovery. There’s a common misconception that licensing fees from Netflix paid for all of the Discovery production costs. That’s not correct. Netflix ended up paying about $6 million per episode (according to the L.A. Times), and the actual cost of production was closer to $8 million per episode (also according to the L.A. Times). So CBS invested about $30 million of it’s own money into Star Trek: Discovery. And based on the number of new subscribers since its launch (about half a million to a million), Discovery at best broke even and more likely lost a few million dollars for CBS. So once again, why was the show renewed for a second season if it’s losing money or barely breaking even at best? Because right now CBS doesn’t care about losing money on All Access. How do I know this? Because its losing TEN TIMES as much on the NFL! Let’s look at the real giant on All Access for a moment. Are you ready for some football…numbers? Again according to the L.A. Times, (’cause they seem to know everything!) CBS pays the NFL $1.4 billion (with a “B”!) in licensing fees PER YEAR to broadcast AFC games on their network and affiliates. But up until this past year, CBS did NOT have the rights to stream NFL games on All Access. That has now changed, however, as CBS scored those rights in late 2016 for this past football season. While CBS didn’t reveal what it paid to expand those rights to streaming on All Access, it’s known that Verizon pays $250 million per year for those same streaming rights exclusive to its wireless customers. So CBS pays $30 million to produce Discovery and, at best, breaks even. But with only a half million new All Access subscribers since the start of football season last September, CBS is loosing potentially HUNDREDS OF MILLIONS OF DOLLARS on streaming the NFL! (I’ll do the math for you tomorrow in part 2 of this blog.) Compared to that, losing a few million on Discovery is chump change. 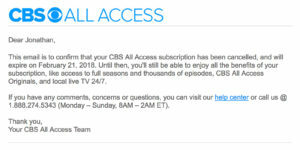 So why does CBS bother to have All Access at all? If it’s losing this much money, isn’t it a failure? Come back tomorrow (’cause I’ve decided to chop this editorial into two parts since it’s so packed) to learn that the answer to that question involves a whole other set of giants. Oh, and I’ll also finally answer the question in the title of this blog: why CBS is NOT “panicking” about Star Trek: Discovery. Mrs. Fields’ cookies had to give away free samples when they were first starting out to get people in the door. Losses were significant, but it established the customer base. It’s called ‘marketing.’ One has to think ahead so as not to become the Sears when Amazon arrives on your doorstep. We did that with my wife’s comic, putting all 6 issues on line knowing that we’d lose sales (Customers at comic conventions would say “Oh, it’s on line, then it must be free, so I won’t buy it here” even though it cost us thousands per issue of our own money and we needed the con revenue income to be able to create the next issue.) Suffice it to say now that the brand is established we’re not doing that with future releases. Yeah, it was an obvious question. But I needed a good dividing point from Part 1 and Part 2…as the full blog was getting way too bulky. Someone is watching Discovery. At 8PM on Sunday nights, watching Discovery is a buffering nightmare. Someone is watching, a bunch of someones, enough to bog down all access consistently. By all estimates, a few hundred thousand people at most. But All Access is still being built, as are its servers and bandwidth. If I cancelled cbs, how a small a cord cutter could I watch Survivor, our favorite program? I’m not sure I understand that question, Dave. So far, this still fits in my time frame of 2-3 years until STD is eventually canceled. 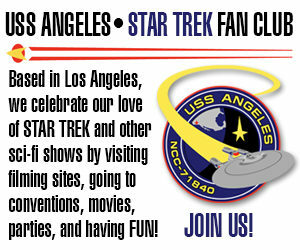 Considering the one year hiatus for the show and the likely hood that they will lose more of the Star Trek subscribers. In fact this may end after the second year of the run which would be 3 years after it’s premier date. In fact this makes their situation worse than I thought. Being under the assumption that CBS was not contributing any funds it seemed clear that Netflix would really decided if this show would continue and that would rely on their numbers world wide. Frankly if Star Trek Discovery was remotely popular CBS would definitely be advertising it’s popularity with the backing of numbers. We’re not seeing that. And we’re also seeing them actively developing a 4th movie with a dramatically different tone with Quentin Tarantino. The pay for these actors will be high and they are not under contract. They are advertising this shift very prominently in the media, obviously an attempt to generate buzz much like how they advertised another series or mini series with Nicolas Meyer (director of Star Trek II Wrath of Khan) at the helm. That has since fallen to the way side. Nothing has been heard for months. This is a clear sign that CBS is attempting prop up or even replace STD at some point in the future with something that isn’t as controversial and that implies they think STD isn’t sustainable at current. That’s not a surprising because Star Trek has a proven track record when popular to transition to movies. If you look at STD the production values imply this might have been their goal from the beginning. Yes, CBS is using the NFL to prop up their streaming service. They are also using old shows to somewhat feebly buffer those numbers. This should look very familiar. This is the early Netflix model before they began producing seriously competitive content. This is a bold investment strategy indicative of Amazon Prime and Netflix Streaming. Yet note this was not sustainable for either. In the end this won’t last. There are a few similarities with this showing of Star Trek that emulate the environmental situations from the 90’s of Paramount trying to grow it’s brand. I predicted back in 2009 they would prefer to create their own streaming services rather than to sell the Star Trek Brand to Netflix or others. But the split between Paramount and CBS has certainly disrupted their efforts. That may be coming to an end if CBS can require Paramount. Nonetheless, there is certainly an overlying issue of quality that STD simply does not aspire to truly mimic Netflix industry disruptive format. It is not at all evident this will survive the cord cutter generation in the midst of negative publicity no more than ENTERPRISE or Stargate Universe could. Read Part 2, though. It hits on some of your points, but not in the way you’d likely agree with. I always wondered: why a saucer shape? The aliens never really answered that probing question! What? You’re offering real world perspective??? We;re not the center of the universe? The world would end if too many people have a real-world perspective I hope you realize. Yeah, Midnight’s Edge decided to add the word “Discovery” after “Star Trek” when they reported on your tweet. 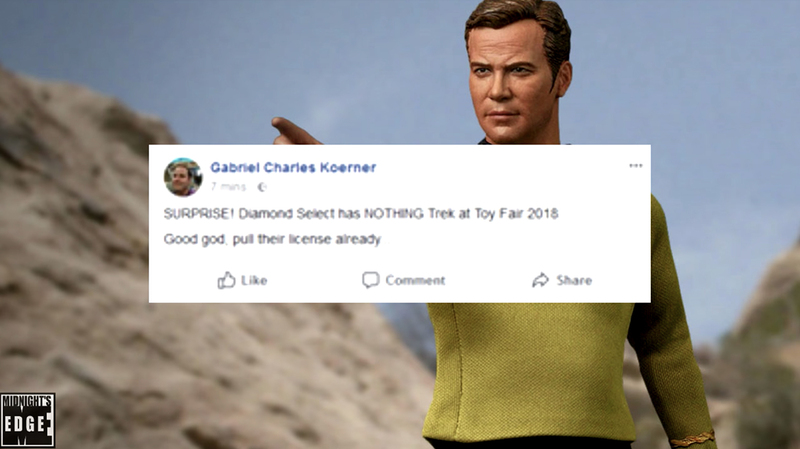 Previous Previous post: The latest AXANAR NEWS!